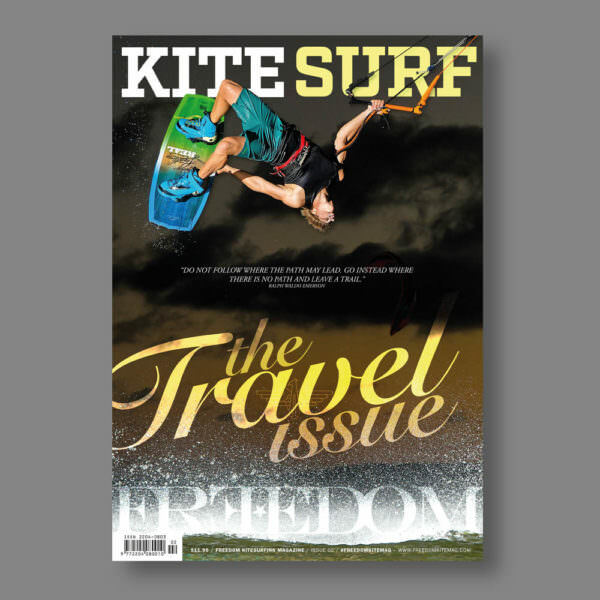 Freedom Kitesurfing Magazine, Issue 5 – The Travel Issue. Summer has once again left us for a while… but there’s no reason you can’t chase the sun to a far away land? West Oz gun Simon Witcherman actually blew his knee in this photo shoot. Make sure to check out the mag to make his effort worthwhile. 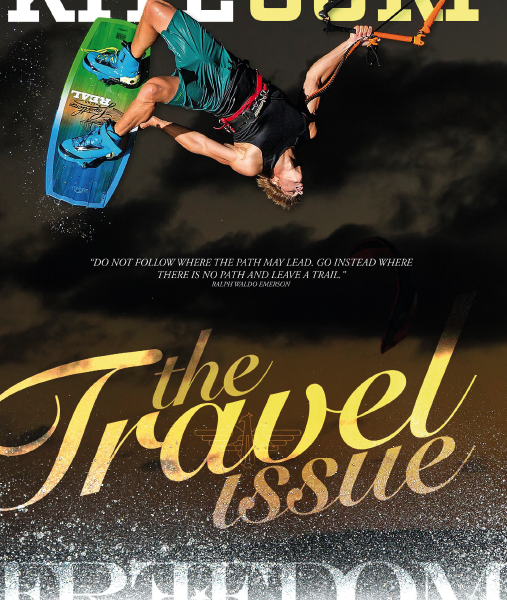 This issue we showcase some amazing spots to travel to – abroad and close to home to still score your fix of sun and wind. Craig Cunningham gives his top travel tips. There is info on Mauritius, Indonesia, Fiji, Zanzibar Africa, Mexico, Cocos Islands, Far North East Australia, New Caledonia and more! 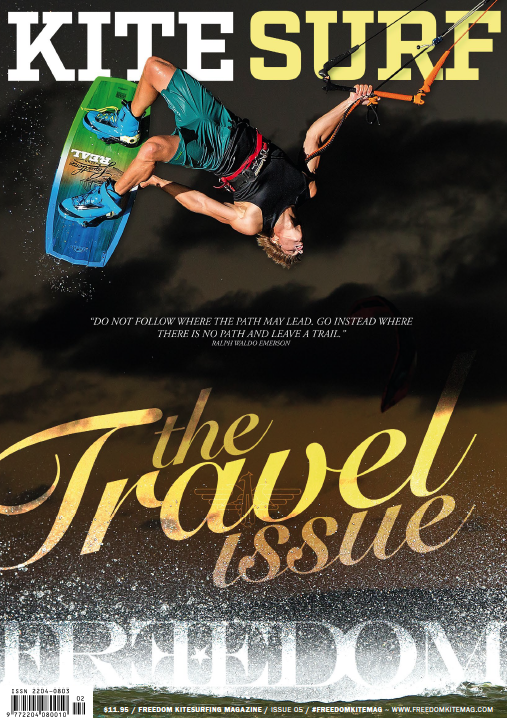 Freedom’s Travel Issue provides all the travel information you need to plan your ultimate winter’s getaway. 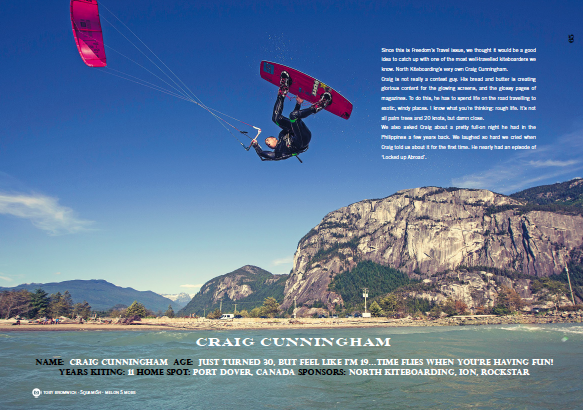 There’s also stacks of travel tips from the pros on travelling with kite gear and staying out of trouble (or getting into it) and doing what it takes to find that perfect spot for you and your mates. Traveling solo as a girl. There’s also some great articles on snow kiting, travelling solo as a girl, Patri Mclaughlin pulling into a monster barrel at Jaws, local profiles on Simon Wichtermann & NKL winners Ewan Jaspan & Billy Hampton and lots more. 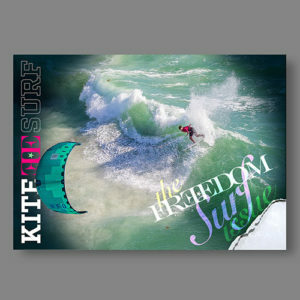 Snow kiting in New Zealand with the Ozone team. 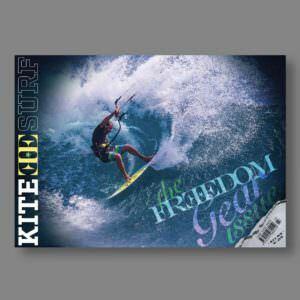 Subscribe now and make sure you never miss a copy! Ewan Jaspen talks contests, injuries and his plans.